Ready to Ship Felt tote, Felt Bag, Tote Bag, Felted bag, Market Bag, Funny bag, Eco friendly bag, bag with apple transparent, Joga bag, Funny bag, totes, hobo bag. 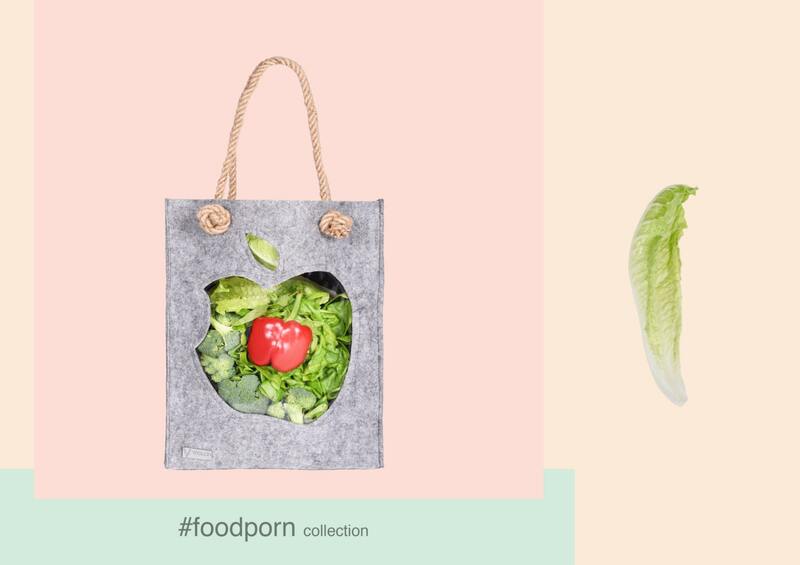 #FOODPORN This collection created in defiance of consumerism , rapid purchases enclosed in plastic bags decomposing 500 years that killing our planet. #FOODPORN Was created with love for the fruit of the land , the cult of healthy eating and living. Funny bag performance of made gray felt, with transparency imitating the apple . Ideal for lovers of manifesting their eating habits and ideological :) This bag will carry up to 4 kg of products . Made entirely from recyclable products. It is an ideal companion on the way to school or to the library . Transparency is applied only on one side - as we do not want to treat the manifest content of this "window" as a preview for something in her purse . It combines classic form and modern combination of materials. This is no ordinary tote bag. You can complete your harmony as putting some compatible things with your daily dress into the transparent bag and you are ready to go!